This workshop will show you a great way to include upper body exercise and add balance assistance while walking. Sunday, June 23 from 2 to 3:30 p.m. Led by Dr. Leroy Hurt, this class is free. But registration is required. Space is limited. 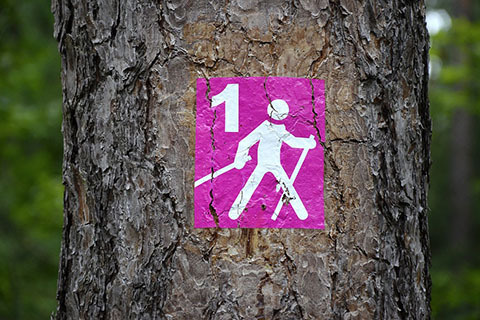 When done correctly, Nordic walking can burn up to 40 percent more calories than regular walking, reduce knee and joint stress, boost oxygen consumption (which, in turn, benefits the brain), and help realign the body after a day hunched at a desk. Stationary Bicycle uses 30-40% of muscles involved. Walking/Jogging uses 40-50% of muscles involved. Nordic Pole Walking uses 90% of muscles involved. And you can do it anywhere you can walk. Dr Hurt will have poles for you to practice with or bring your own! 8/10/19 - Saturday - 9 to 10:30 a.m.
10/6/19 - Sunday - 2 to 3:30 p.m.
12/8/19 - Sunday - 2 to 3:30 p.m.